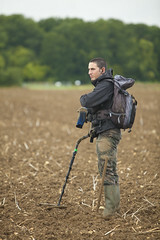 Looking for gold has never been easier, thanks to the new Minelab GPZ 7000 Gold Detector and its revolutionary technology. This extraordinary machine can detect tiny nuggets buried deep underground – up to 40% deeper than its deep-seeking predecessor, the Minelab GPX 5000. 20th February may appear to be a day just like any other, but in fact it has marked some fairly momentous events, births and deaths over the years. Of which, we’ve noted a few below for posterity, if you think we’ve missed any out then let us know in the comments! November 28th may sound innocuous at first, but over the course of history it has, like any other day, accumulated its fair share of notable events. Here are a few such events as well as births and deaths that we thought merited a mention.